The best power-pop songs sound tossed off. When you listen to Guitar Romantic by the Exploding Hearts or any album by Big Star, it sounds like the band members stumbled across the instruments and just happened to make something great. It’s like they struck gold without having any intention of looking for it in the first place. The same could be said for how Ex Hex’s Mary Timony writes her lyrics. “Lyrics to me either happen or they don’t. I just don’t stress out about them or work on them very hard,” she says over the phone. “Whether that’s good or bad I’m not sure.” In case you were wondering, it’s definitely not the latter. The lyrics we’re discussing are those off It’s Real, the follow-up to the band’s punky, visceral debut album, Rips. Though it’s been five years since the band’s debut, It’s Real picks up where that album left of, albeit with a slightly expanded palette. Hints of the power-pop icons of the late ’70s and early ’80s — think the Knack, the Cars, Thin Lizzy, and the dB’s — can be heard throughout the record. On the opening one-two punch of “Tough Enough” and “Rainbow Shiner,” you get all that rolled into one via Timony’s overdriven guitar, Betsy Wright’s energetic bass lines, and drummer Laura Harris’ surprisingly punchy percussion. While the band didn’t venture too far out of the sound that it perfected with its first album, it definitely had a little more fun with the production and drawing from a smattering of different influences than the ones listed above. 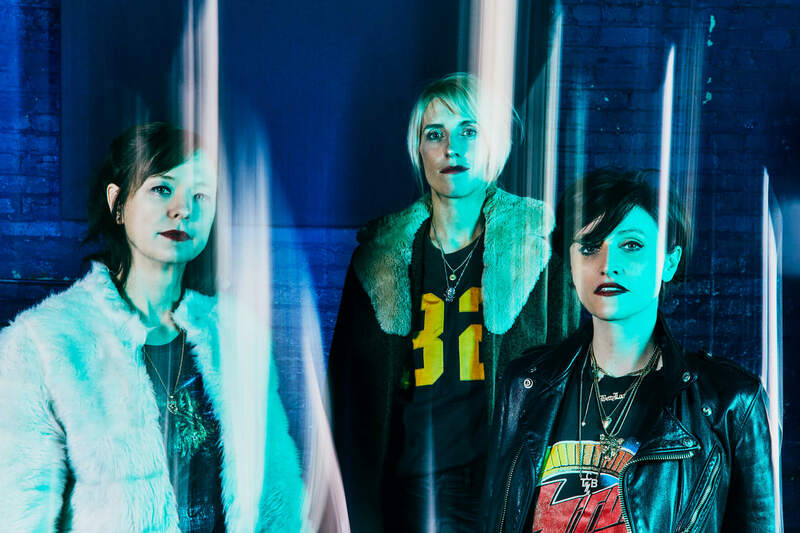 “Cosmic Cave” and “Talk to Me” have a psychedelic, garage-rock feel due to the warped, syrupy vocals while “Another Dimension” has the stadium-sized sound that Timony wanted after obsessively listening to Def Leppard’s Hysteria. Timony gives credit to Wright for the group’s expanded sound. “I feel pretty lucky if a song even comes out and I have a pretty hard time controlling the style of it. Betsy’s the one who, when she hears something, is able to filter a song through that style or genre. I just don’t have control over that. But it is looking up. Now that the band has had some time to recover from its extensive recording, it’s excited to be back on the road again. “We’re touring as a four-piece, we’re tighter as a unit … and I’m playing a Charvel guitar” (a brand associated with over-the-top metal guitar players). Comfort ZoneFinally, Mel Gibson Plays a Racist!